FASTPATCH 5000 is a flexible, two-component urethane designed to be a fast curing repair product for concrete. 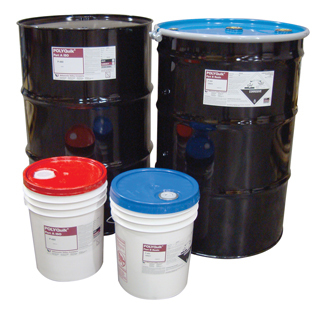 It is a 100% solids product supplied in ready-to-use cartridges, pails, or drums. FASTPATCH 5000 has excellent adhesion to concrete. Repaired areas can be opened to traffic in as little as an hour. FASTPATCH 5000 is cartridge or meter applied, Contact Us for more details. The required companion ISO for this product: 5 Gallons FASTPATCH 5000 (ISO). 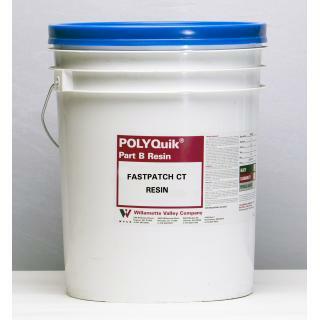 For large projects, FASTPATCH 5000 is available in bulk 100-Gallon Kits (50-Gal Resin, 50-Gal ISO). FASTPATCH 5000 Gray can also be purchased in convenient 600mL Dual Cartridge form for easy application on smaller projects. YIELD: 5-Gallon Bucket Sets (10-gal total*) = 2310in³.